Sevda Mustafa has been studying yoga for 20 years. Her main influences being Iyengar, Hatha and Astanga. She has been taught by many amazing teachers including Godfrey Devereux. Zoe Knott, Bob Insley and Maarten Varmaase, which has influenced her teaching deeply. Sevda has been teaching around London for 4 years, after completing the British Wheel of Yoga teacher training with Zoe Knott and Bob Insley. Sevda teaches with an open heart encouraging students in their practice. She works with strength in the asanas or postures and then goes deeper into the body using breath awareness. She believes in making the body strong so we can go inwards to find the true self by working through our blockages, which can manifest in stiffness within the body. 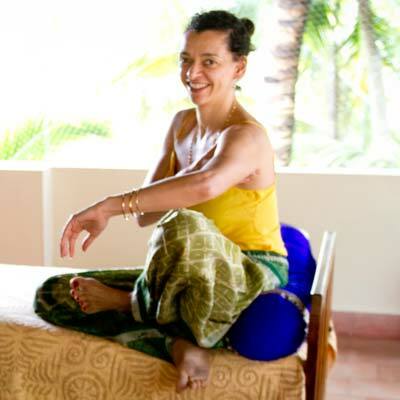 Sevda is very respectful of each student’s individual needs within their yoga practice. Both beginners and advanced students wishing to deepen their practice will be welcome. The morning class will be dynamic and energising, to build on stamina, but also to create space in the body using breath awareness. Sevda will teach Vinyasa flowing sequences to link the body, breath and mind, allowing the body to move more fluidly between postures, which will be held to allow each student time to integrate and understand them. Evening classes will be less energetic working on restorative yoga with deep relaxation. Cost: £850 sharing, £1105 single rooms and £1195 superior single. Cost: £895 sharing, £1150 single rooms and £1230 superior single.